Adored by many, Chocolate Mocha Lover Lips is a sensory – and sensual – delight. Creamy chocolate goodness is swirled with coffee, lemon, and vanilla with a dash of defending beeswax to create a moisture-drenched lip balm that will leave your lips and lovers fully satiated. Smooth, soothing, and long-lasting, this Chocolate Mocha balm has you covered all daylong. Apply to lips and keep them kissable all day long. It may also be used as a fine-line balm on the delicate skin under the eyes and along top of the cheekbones. Perfect under Shimmer Lover Lips too. Simmondsia chinensis (Jojoba), Cera alba (Beeswax), Theobroma cacao (Chocolate), Vanilla planifolia (Vanilla), Coffea arabica (Coffee), and Citrus limon (Lemon). Jojoba (Simmondsia chinensis) Oil – Glorious, golden jojoba nourishes and conditions thirsty skin. Jojoba has unparalleled ability to moisturize the skin, balance oil production, deep clean pores, and create long-lasting conditioning effects that soften skin to perfect silk. It is packed with peptides and lipids and contains the highest levels of phenolic compounds found in nature along with vitamins and all soluble forms of vitamin E! Happy Beeswax (Cera alba) – Beeswax is beloved for its power to protect delicate lip tissue in a porous layer that locks moisture in and keeps toxins out. Chocolate (Theobroma cacao) Oil – Chocolate, also known as the food of the gods, infuses this lip balm with a heavenly aroma and serenely smoothes skin. Cacao beans and butter collide for a creamy lip balm that glides gorgeously along skin – keeping any apocalypse of dry lips at bay. Vanilla (Vanilla planifolia) Essential Oil – Veritable vanilla moves beyond the ordinary in a distillation 200 times more potent than vanilla extract. As it lends a lush sweetness, this infamous ingredient delights the senses with tantalizing honey notes. Coffee (Coffea arabica) Extract – Our special super-extracted coffee bean essence, is a concentrated cup of coffee without the caffeine. The fruit of the coffee tree can gladden your vibe, effervesce excitement, and smooth skin tone. Lemon (Citrus limon) Essential Oil – Luscious lemon clarifies, energizes, and purifies the skin from head to toe. It is excellent in cleansers for acne and bumps. Lemon tones, firms, and infuses skin with resilience. WHAT AN AWESOME LIP BALM!!! Thank you so much for creating this wonderful product. My lips are always dry and cracked no matter what time of year it is. I have been using the balm for 2 weeks and my lips feel and look wonderful!!! YUM, THE BEST LIPS EVER! Ok, so I absolutely adore this lip balm!! I’ve tried a few flavors (rose being my second favorite), chocolate being my first! I have found most other lip balms to leave your lips almost worse than before, leaving a sort of ‘gunk’ on them. Where these, just leave your lips beautiful and yummy and kissable. So delicious. I wouldn’t use anything else! 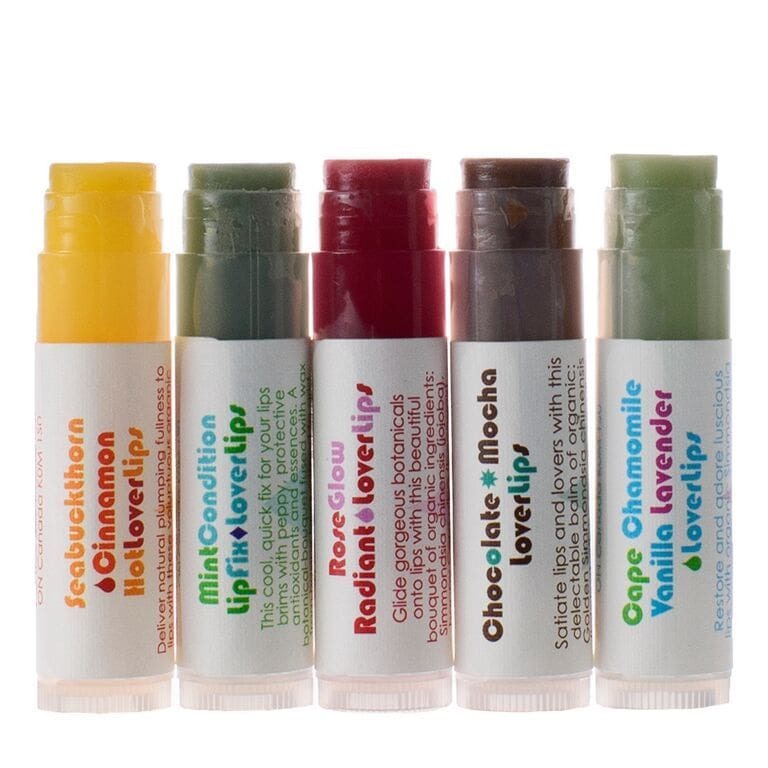 I admit I threw away all of my other ‘natural’ chapsticks from brands I won’t name, once I started using these.. The ingredients are simple, clean, and they actually moisturize my lips without that drying effect from every chapstick I’ve ever used in my life that beckons for reapplication. I like using the Seabuckthorn Cinnamon joint in the morning because the smell is spicy, sweet, and bold~ It also makes my lips blush! 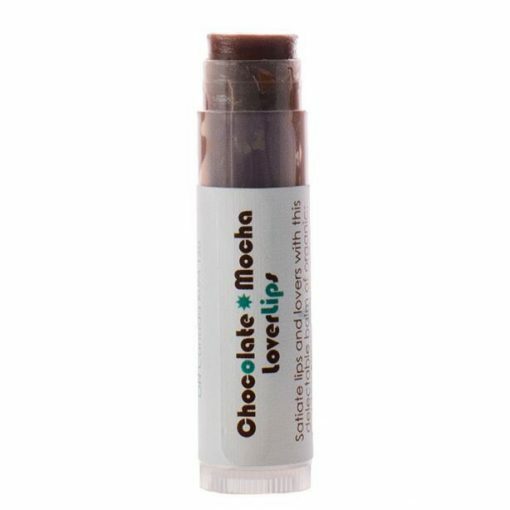 But when I’m in the mood for something more mellow and comforting, I use the Chocolate Moca because it feels creamy and smooth, leaving my lips completely nourished and conditioned. 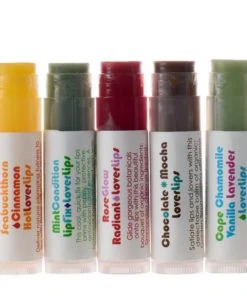 In terms of texture and performance, this is very similar to the Lover Lips Chamomile Vanilla Lip Balm. It moisturises well without leaving a waxy coating behind. I much prefer this flavour to the Chamomile Vanilla. It tastes like coffee and chocolate, and you’ll love this if you like both of these flavours. 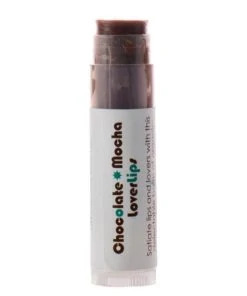 Its flavour is reminiscent of Lush’s now-discontinued Chocolate Whipstick lip balm, but it has a much lighter texture and consistency, which I prefer. Ohh this one smells so amazing. And it is of course so nourishing with a slight tint.